KYIV, Ukraine—As the Russian shells and rockets rained down on them in the front-line town of Debaltseve in February 2015, Ukrainian troops began to receive curious, anonymous SMS messages on their cellphones. “Your comrades nearby already left their positions, so you should leave yours as well,” one message read. The messages also claimed that Ukrainian President Petro Poroshenko, as well as Ukrainian military commanders, had “betrayed” the soldiers. The Ukrainian military later concluded that Russian military forces had taken over the local cellphone network with mobile jamming stations. The SMS messages were part of a psychological operation against Ukrainian troops, not too different in its intent from dropping propaganda leaflets from airplanes, a psychological warfare technique that dates back to World War I as a way to demoralize troops. “Three years into the Russian aggression, we have experienced every Kremlin method and technique there is,” Poroshenko told The Daily Signal. In Ukraine, Russian military forces have combined World War I and II-era weapons and tactics—like artillery bombardments, tank attacks, and trench warfare—with weapons unique to the 21st century battlefield, such as cyberattacks and sophisticated propaganda campaigns geared toward TV and internet audiences. “Fake news is a weapon,” Viktor Kovalenko, a Ukrainian journalist and army combat veteran from the 2015 battle of Debaltseve, told The Daily Signal. Hybrid warfare is Russia’s modern interpretation of a Soviet military doctrine called “deep battle,” in which military operations extend beyond the front lines deep into an enemy country’s territory in order to hinder its ability to wage war. And, some say, Russia is tapping into its hybrid warfare arsenal, now battle-tested in Ukraine, to wage a uniquely 21st century style of war against the United States and the European Union. For its part, the U.S. is currently investigating whether Russia spread fake news and used cyberwarfare to interfere with the 2016 U.S. presidential election. In 2014, Kovalenko was conscripted into the Ukrainian army’s 40th Brigade as an active-duty senior lieutenant. In late January 2015, the 40th Brigade was hunkered down in the eastern Ukrainian town of Debaltseve, taking intermittent artillery fire as they skirmished against infantry assaults from a combined force of pro-Russian separatists and Russian regulars. Then, on Jan. 28, all hell broke loose. 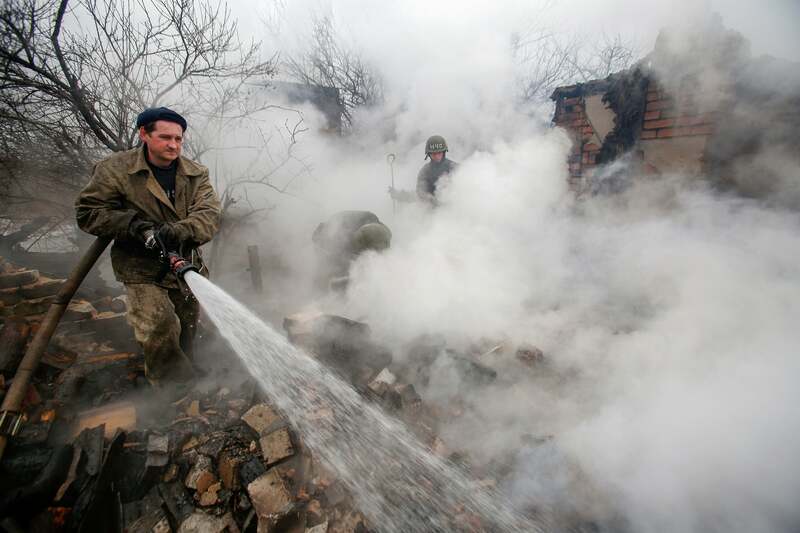 A massive artillery, mortar, and rocket bombardment pummeled the Ukrainian troops in and around Debaltseve. The only refuge was to seek shelter underground. And that’s what many soldiers and civilians did. And that’s where many of them died. In late February 2015, weeks after the battle ended, the United Nations reported that the bodies of hundreds of civilians had been found in houses and in cellars throughout Debaltseve. Some were entombed when their homes collapsed onto them due to a direct hit. Others suffocated when incendiary devices sucked the oxygen out of the air. 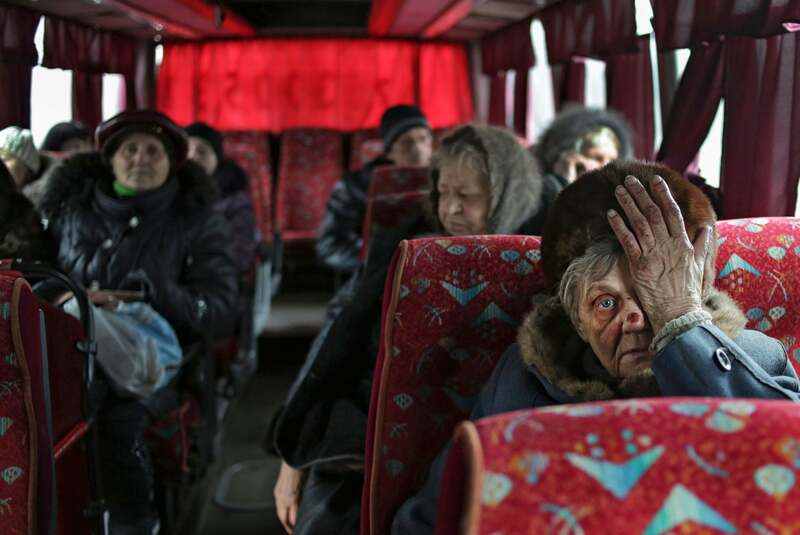 Altogether, more than 500 Ukrainian civilians died in the battle, according to United Nations and U.S. estimates. In one bombardment, a piece of rocket shrapnel about the size of a gumball tore through the room in which Kovalenko was sleeping, slicing through his sleeping bag like a razor. Kovalenko was unscathed, but rattled. Minutes, seconds; feet, inches. That’s often the threshold between life and death in this kind of materiel war. Your survival often has less to do with your skills as a soldier than just blind luck. As fighting raged in Debaltseve, cease-fire negotiations were simultaneously going on 750 miles away in the Belarusian capital of Minsk. Ukrainian officials later claimed that the approximately 6,000 Ukrainian troops in Debaltseve faced a combined Russian-separatist force of about 15,000 to 17,000 soldiers, including about 12,000 to 13,000 Russian regulars. The Kremlin denied it was supporting the separatists or had its own troops fighting in Ukraine. Yet, tellingly, Russian President Vladimir Putin had a place at the cease-fire’s negotiating table alongside Poroshenko, German Chancellor Angela Merkel, and French President Francois Hollande. A deal was struck in Minsk on Feb. 12. The cease-fire was supposed to go into effect on Feb. 15, but it was dead on arrival. 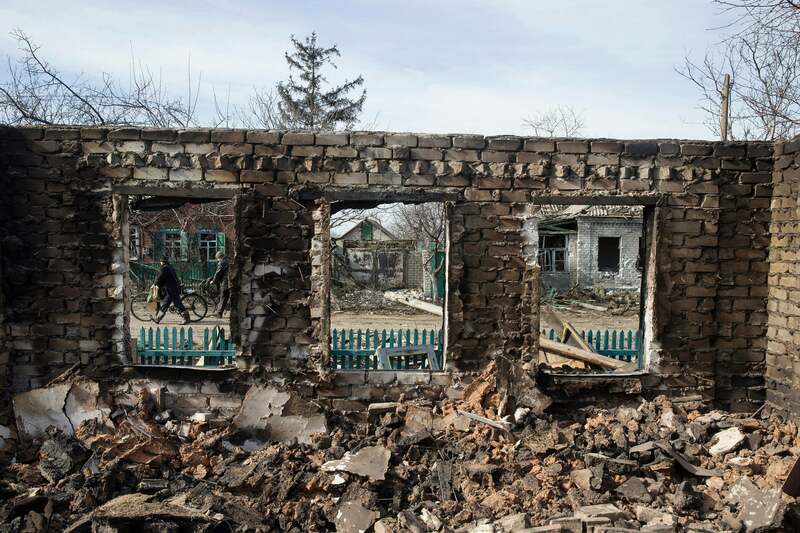 Russian artillery, rockets, and small arms assaults never let up in Debaltseve. Then, on Feb. 18, 2015, suffering heavy casualties, and while under persistent shelling and rocket fire, Ukrainian forces withdrew from Debaltseve. In the ensuing chaos, Ukrainian soldiers who missed the mechanized retreat had to escape on foot, dodging Russian Grad rockets—a multiple-launch rocket system that carpets a targeted area in a hailstorm of shrapnel and explosions. Today, the town remains under combined Russian-separatist control. Overall, about 185 Ukrainian soldiers died in the battle, with about another 200 listed as captured or missing. On Feb. 23, 2015, Ukrainian soldiers taken prisoner in Debaltseve were paraded through the separatist strongholds of Donetsk and Luhansk. It was Defender of the Fatherland Day—a Russian holiday that commemorates the first mass conscription into the Red Army during the Russian Civil War. “Russian media aggressively labeled the Ukrainians ‘Nazis’ and ‘fascists,’ so that the purported mass parade of [prisoners of war] would awaken memories of how the Soviets happily paraded German prisoners on Red Square, Moscow, in 1945,” Kovalenko wrote. 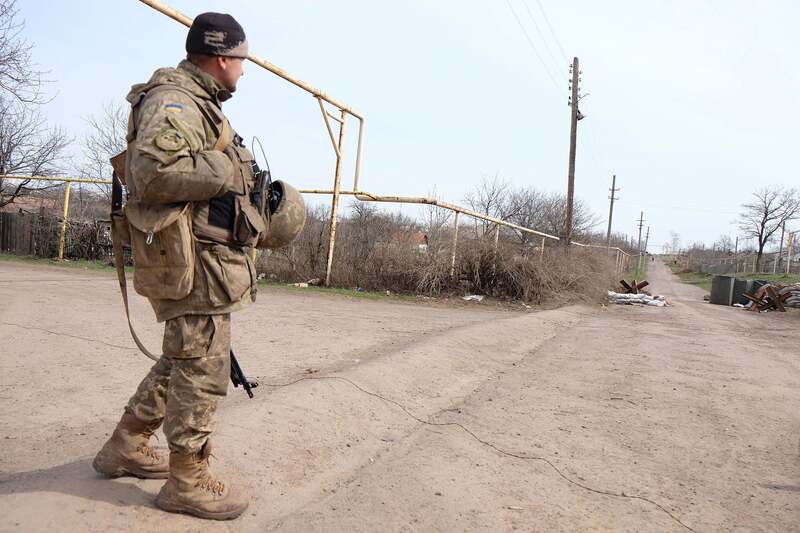 More than two years after Minsk II went into effect, daily combat persists along the 250-mile-long front lines in eastern Ukraine’s embattled Donbas region. 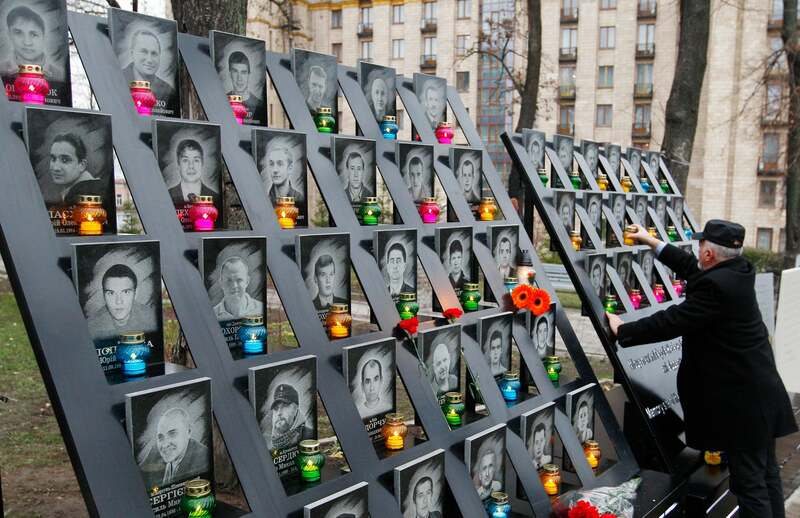 A third of the 10,000 Ukrainians who have died in the war were killed after the February 2015 cease-fire was signed. Casualties, both civilian and military, still occur daily on both sides of the conflict. And about 1.7 million Ukrainians remain de facto refugees in their own country due to the war. The Minsk II cease-fire has largely kept the war in check, and both sides have not made any major offensives in more than two years. But the Ukraine war is not confined to the battlefields of the Donbas. As airpower did after World War I, Russia’s hybrid war against Ukraine has redefined the boundaries of the modern battlefield. “Cyberpower has in part replaced many forms of traditional power, from air and submarine power to assassination,” Kenneth Geers, ambassador of NATO’s cybersecurity center and a senior fellow at the Atlantic Council, told The Daily Signal. Early airpower theorists argued that targeting an enemy country’s industry and infrastructure could destroy its industrial capacity to wage war. That theory was later extended to include targeting civilian population centers to damage morale. No longer can areas exist in which life can be lived in safety and tranquillity, nor can the battlefield any longer be limited to actual combatants. On the contrary, the battlefield will be limited only by the boundaries of the nations at war, and all of their citizens will become combatants, since all of them will be exposed to the aerial offensives of the enemy. Hybrid weapons have not replaced the more tactical uses of combat airpower like close air support, or air interdiction. But hundreds of miles behind the front lines in Ukraine, Russia’s propaganda and cyberattacks have supplanted the strategic use of airpower to effect Russia’s deep battle doctrine. The war in Ukraine has become a proving ground for Russia’s strategic use of hybrid warfare weapons like propaganda and cyberattacks. Russian cyberattacks have targeted Ukraine’s power grid, its biggest international airport, and the country’s 2014 presidential election. And Russian propaganda has targeted the morale of Ukrainian civilians and soldiers. “Russian propaganda on the territory of Ukraine is part of hybrid war, which is carried out against the Ukrainian people,” Vitaliy Yarema, Ukraine’s former prosecutor general and former first deputy prime minister on security and defense, told The Daily Signal. Ukraine’s 2014 revolution overthrew a kleptocratic, pro-Russian ruler. To prevent a similar scenario in Russia, the Kremlin discredited Ukraine’s pro-European revolution as a CIA-sponsored, neo-Nazi coup. Through propaganda, Russia was able to create a false narrative, painting its 2014 seizure of Crimea and the ensuing conflict in the Donbas as grassroots efforts instigated by disaffected Ukrainians who believed the new government in Kyiv was illegitimate. “Nationalists, neo-Nazis, Russophobes, and anti-Semites executed the coup,” the Russian president said. Beginning on April 6, 2014, pro-Russian separatists operating under the watchful eye of Russian intelligence agents and special forces troops took over multiple towns in eastern Ukraine, spawning two breakaway republics—the Donetsk People’s Republic, or DNR, and the Luhansk People’s Republic, or LNR. 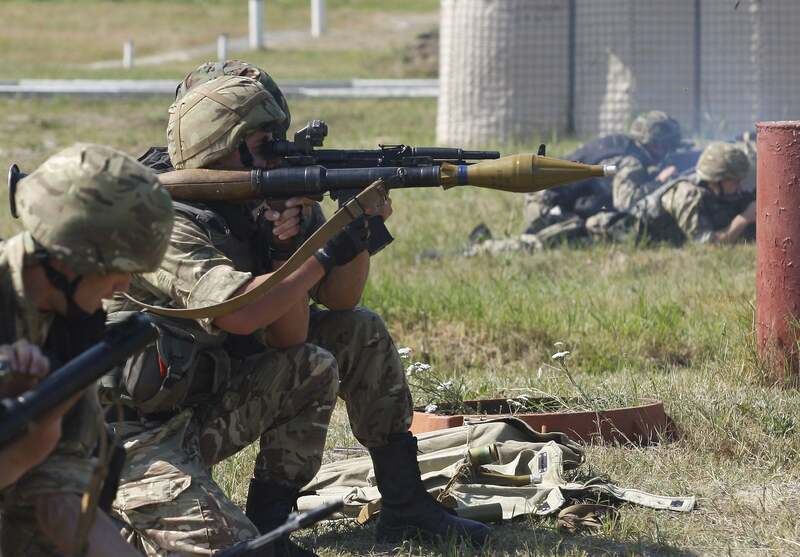 Throughout the summer of 2014, Ukraine’s armed forces launched a military operation to stop the separatist takeover of eastern Ukraine and take back lost territory. By July 2014, Ukraine had retaken 23 out of 36 districts captured by combined Russian-separatist forces. Russian media broadcast a series of reports painting the conflict as a crusade to protect ethnic Russians in eastern Ukraine. Among the false reports intended to stoke nationalist hysteria were the story of a three-year-old boy who was allegedly tortured and crucified by the Ukrainian military in Slaviansk, a report on the raising of the levels of the Lopan and Kharkov rivers so that NATO submarines could reach Donetsk, a report on the cancellation of the May 9 World War II commemoration in Kiev and its replacement by a gay pride parade, a report that the Ukrainians had stopped selling bread to Russian speakers, and a report that Petro Poroshenko, the Ukrainian president, was preparing to make Hitler’s birthday a national holiday. Propaganda ultimately played a key role in Russia’s military campaign against Ukraine; it became an effective recruitment tool. Within the separatist territories, Russian propaganda spurred tens of thousands of Ukrainians to take up arms against their countrymen. An enlistment office for the separatist republics was opened in Moscow for Russian citizens who wanted to join the war. And Russia’s false news reports disseminated worldwide via the internet drew foreign fighters to join Russia’s proxy army against Ukraine—including from Serbia, France, Brazil, and the United States. Even today on the Ukrainian side of the front lines in the Donbas, some villages and towns only receive Russian broadcast television—Ukrainian TV and news programs are unavailable, except by cable. Russian cyberattacks and propaganda are nonlethal weapons of war, complicating the debate on what exactly comprises a proportional response to such methods. “The adversary is constantly perfecting its hybrid warfare, especially in the cybersphere,” Poroshenko told The Daily Signal, referring to Russia. “I’m glad to see that our Western partners have acknowledged the threat and started strengthening their cybersecurity,” the Ukrainian president added. NATO, for its part, has already said cyberattacks are a military threat. “The ubiquity, inter-connectivity, and intimacy of computers have made some cyberattacks more powerful than traditional kinetic attacks,” Geers added. “When you attack a country, it’s an act of war,” U.S. Sen. John McCain, R-Ariz., said during a December 2016 interview on Ukrainian TV, referring to Russia’s alleged operations to influence the 2016 U.S. presidential election. At a Senate Intelligence Committee hearing Thursday, Sen. Mark Warner, D-Va., said Russian hackers had “weaponized” stolen information during the 2016 election. Yet, despite the rhetoric from both Democrats and Republicans equating Russia’s election meddling with acts of war, the U.S. has not yet retaliated against Russia with conventional military force. In November 2016, the U.S. House of Representatives passed a bill that included measures to counter Russian propaganda in the U.S. And under former President Barack Obama, the U.S. placed additional sanctions on Russia for its alleged presidential election cyberattacks. Even in Ukraine after three years of war, Russian websites are not blocked, and many Ukrainians still watch Russian TV channels. “The Kremlin actively and absurdly exploits democratic freedoms against democracies,” Kovalenko told The Daily Signal.